Are the elites preparing to take over the cryptocurrency markets as the Rothschilds and Rockefellers join George Soros in the sector? Ahh the gold ole days, when cryptocurrencies were primarily an asset of the anarcho-capitalist fringe who wanted a way to get out of the controlled financial and banking systems. But sadly those days appear to be long gone as less than a decade later, the very same elites these investors were trying to evade are now coming into the sector with gusto. 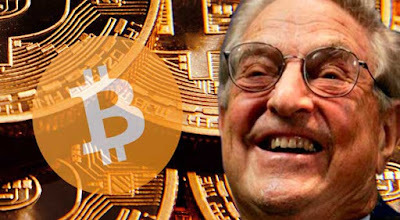 On Friday a report came out that billionaire George Soros was turning away from his previous vilification of cryptocurrencies to announce he was planning to invest heavily into the market. And now on April 9 we can add two other elite families as the Rothschilds and Rockefellers appear poised to join Soros in heavily investing in cryptos. How this news and the actions of the world's banking families will affect the price is somewhat of an unknown since almost immediately this morning when U.S. trading began, the cryptocurrency sector as a whole fell once again after they had gained significant ground over the weekend. And this could be a precursor to a push lower so that the elites can scoop up their cryptos on the cheap after they had created enough blood in the streets.